Here’s good news to Filipino Mobile Legends, we all know that the game has a huge online welcome as most of active players are coming from the Philippines. The MLBB official team is in the process of surprising us with a new special hero. Yes, that’s right, they are in the process of making it happen for us who enjoy playing this multi play online battle game. They need us to help them name it, they have the shortlisted top 10 possible national heroes that you can vote. 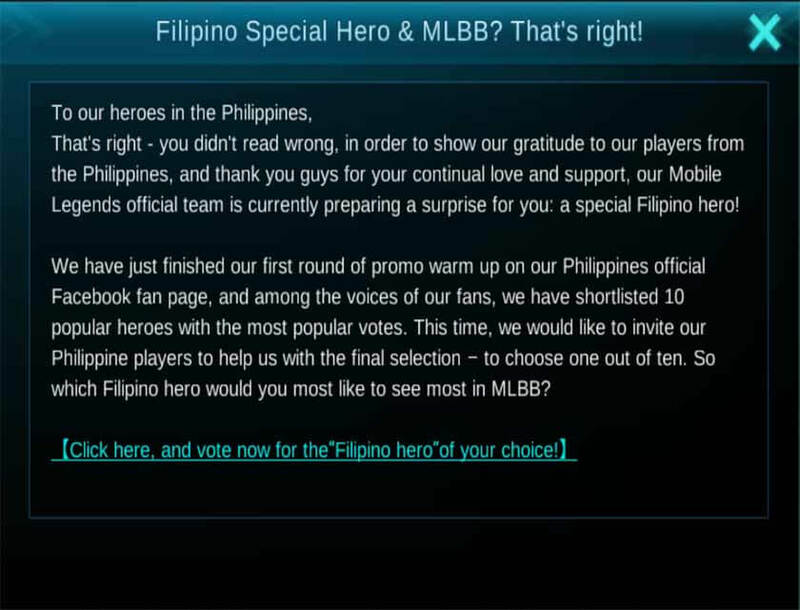 They provided us a form we can cast our votes, select what’s the best soon to hero to represent for the Philippines. Here’s a message from the Mobile legends team via our game inbox. "That’s right – you didn’t read wrong, in order to show our gratitude to our gratitude to our players from the Philippines, and thank you guys for your continual love and support, our Mobile Legends official team is currently preparing a surprise for you: a special Filipino hero! We have just finished our first round of promo warm up on our Philippines official Facebook fan page, and among the voices of our fans, we have shortlisted 10 popular heroes with the most popular votes. This time, we would like to invite our Philippine players to help us with the final selection – to choose one out of ten. So which Filipino hero would you most like to see most in MLBB?" 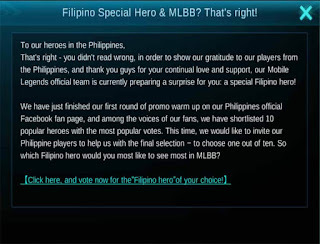 Here the link where you can vote: Vote for Filipino Special Hero. I already voted for Andres Bonifacio, he can be a Filipino Clint with a sword or spear along with his gun. He’s one of our national heroes who’s known for ground battles during the Philippines Revolution. 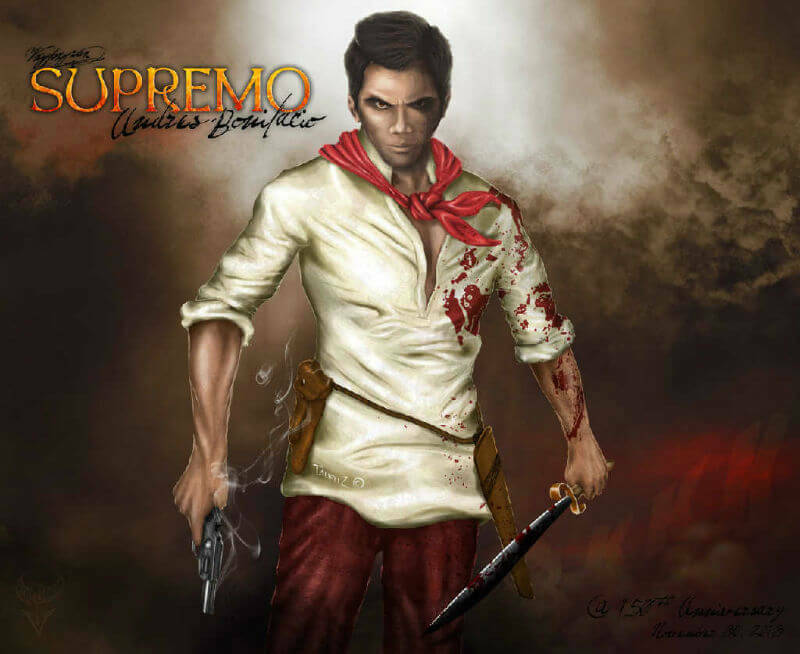 Hopefully they will name it Supremo. parang antagal naman neto e release! !